Time travel tales of love and the future, alternate realities, and the worlds of fantasy. "Love's not time's fool," Shakespeare wrote, though he might have added that men and women can be both love and time's fools. For time and love are universally experienced, yet mysterious and only dimly understood. Here's a collection of stories with both transcendental mysteries in high gear, as lovers, happy and otherwise, are caught in bizarre twists of time. On hand to twist time into pretzel shapes, if not into Moebius strips, are best-selling and award-winning authors such as Poul Anderson, John Wyndham, Christopher Priest, Richard McKenna, Michael Swanwick, Charlie Jane Anders, Tony Daniel, Sarah A. Hoyt, and more, as cupid hops aboard a time machine and the course of true love not only may not run smooth, but may run backwards and even sideways. Includes stories by Richard McKenna (Nebula Award winning story), author of the award-winning novel The Sand Pebbles; John Wyndham, author of the mega-bestseller The Day of the Triffids; multiple-award winning author Poul Anderson, multiple award-winner Christopher Priest, author of The Prestige (BSFA Award winning novel); Charlie Jane Anders (Hugo Award winning story which is currently being developed for TV); Hugo, Nebula and World Fantasy Award winning author Michael Swanwick; Hugo Award finalist and Asimov's Reader's Choice Award winner Tony Daniel; Prometheus Award winner Sarah A. Hoyt; and more. 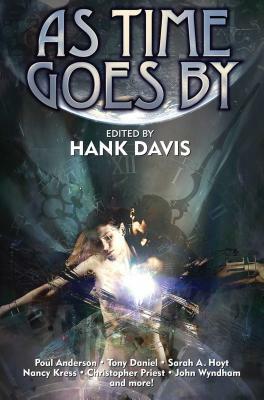 Hank Davis is Senior Editor at Baen Books. He served in Vietnam in the Army and has a story in Harlan Ellison's fabled The Last Dangerous Visions.